On this episode of “Dugout Blues,” Jared and I look back at the final week of the regular season that saw the Dodgers play for the NL West championship in Game 163. That game was Monday, and (as you already know), the Dodgers won behind a great performance from Walker Buehler and a couple of 2-run dongs from Cody Bellinger and Max Muncy. Now, they await the Braves in the NLDS, which begins tomorrow. The Braves have a lot of young talent, led by Ronald Acuna. This is not going to be a cakewalk by any means. While they’re probably a year ahead of schedule, they’re going to be a tough matchup for the Dodgers. I also got loose a bit about Dodger fans being upset at the Nationals for not pitching Max Scherzer on Sunday. It isn’t the Nats’ responsibility to do what’s best for the Dodgers. If LA had won one more game (say, against the Reds, a team to which they dropped 6-of-7 games), Game 163 wouldn’t have been necessary. We finish previewing the postseason and give our best predictions at the 25-man roster. We close with a solid Q&A session. Please keep them coming. Also, we’re planning to record after every playoff game — like we did last year. 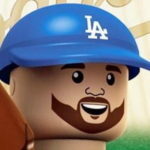 So, look for new, short episodes of the podcast shortly after the game (i.e., by the next morning) until the Dodgers are no longer in the playoffs.